Bitcoin has been around for almost one decade, and during that time it has weathered all manner of storms. From security breaches and concerns to issues around legislation and legality, it continues to be the source of much debate and discussion. One of the most common matters for the debate around cryptocurrency is regarding whether it is taxable, should it be payable, and if so, how should it be taxed? Many believe that making Bitcoin taxable goes against the very point of it being decentralised, while on the other side of the coin, there are those that think that if Bitcoin and other cryptocurrencies are to succeed, they must be brought into line with global laws, regulations and policies. In this article, we will delve into whether it is a currency or a commodity, and what kind of approach certain jurisdictions are taking towards the taxation of cryptocurrencies, including Bitcoin. If you own bitcoin, here’s how much you owe in taxes from CNBC. There is a lot of debate around whether Bitcoin should be considered as a currency, a commodity, or something else entirely. There is no doubt that its entry into the world of finance has created a new asset class known as “cryptocurrency”, and it turns out it is pretty hard to define. While it functions as a digital form of money, and it allows both trade and commerce through its blockchain technology, the jury is out on how it should be classified. The technology is still in its infancy, and many believe it will take years to determine whether it should be considered as a currency, an investment vehicle or some other kind of asset. As its popularity continues to grow, it has drawn the attention of financial authorities worldwide. With many of them citing concerns over security, and its possible uses in illegal enterprises, some countries have taken the drastic steps to outlaw it entirely, while others such as Russia and China have cracked down on its applications considerably. At the moment, Bitcoin can be traded and exchanged for other goods and services. It is accepted globally for a whole range of services and products by companies such as overstock.com, DISH Network and Microsoft. Its growing popularity with merchants is motivated by features such as low transaction costs, its robust security features, and its fast transaction speed. For these reasons, it can be considered as a currency as its acts in the same way as a fiat currency does, but this is where its similarities end. Bitcoin offers no physical presence like a coin or note, and it is entirely decentralised meaning that no central bank or government controls it. Likewise, its value is not guaranteed by any government, and the number of Bitcoins that can be created is capped at 21 million, whereas fiat currency is virtually unlimited. When it comes to Bitcoin being considered as a commodity, one cannot help but see the similarities between it and other well-established commodities such as salt, oil, and gold. When you compare Bitcoin to gold, you can see several similarities between them. These include is scarcity – both Gold and Bitcoin are scarce in their supplies, and it is not easy, in fact, it is nearly impossible to add to existing supplies. This is because supplies of both are considered as finite – there must be a limited amount of gold in the world, and Bitcoin is capped at an absolute maximum of 21 million coins. Another way in which Bitcoin functions as a commodity, like gold is because their inherent value makes them assets, as well as a viable means of trade. The answer to the question as to whether Bitcoin is a currency, or a commodity is sure to be revealed in the next 12 months. Many believe that Bitcoin will cease to act as a currency and will instead become a way of storing value. This sill has a significant impact on how Bitcoin is treated regarding taxation across the world. Again, this is a matter of much debate. Many believe that Bitcoin should continue to be utterly decentralised, and therefore should fall out of the remit of any government or authority. The number one fear of many governments and authorities is that Bitcoin and other cryptocurrencies could be used for both money laundering, and tax evasion – two crimes that cost governments billions, if not trillions, every single year. The fact that cryptocurrencies are anonymous and allow individuals to buy, sell, trade, and invest without the usual identification requirements, means that significant amounts of money can be transacted and moved around without anyone having to declare it. Now, several leading jurisdictions are announcing legislation that will seek to ensure that gains accrued through the trading of cryptocurrencies must be taxed in the same way that fiat currency and other commodities are. This does present several issues, though – the very nature of cryptocurrencies, coupled with things like hard forks, and swapping between coins at the tap of a button makes it very hard to quantify taxable amounts truly. With more and more jurisdictions insisting on the taxation of cryptocurrency, one thing is for sure, that authorities have a lot of work to do when it comes to getting to grips with blockchain and the cryptocurrencies that run on it. 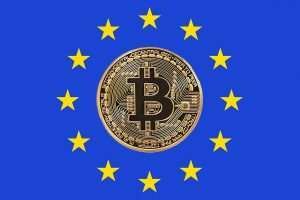 The EU has made it clear that they are planning to crack down on Bitcoin due to increasing concerns that it is being used for money laundering and tax evasion. Many European Governments such as Malta and the UK have announced that they will create legislation that will ensure Bitcoins compliance with AML legislation as well as traders being required to divulge their identities, meaning they will need to be declaring their gains for tax purposes. Throughout the EU, Bitcoin is considered as a currency, not a property and capital gains tax and income tax are levied against it, but VAT is not. There is a variation between various member states, however, for example in Germany and Finland, crypto-currencies are subject to capital gains tax and a wealth tax whereas in Austria, income from cryptocurrencies is subject to income tax. In Spain, information on profits or losses of capital on the sale of deposits from private sellers must be included in tax returns. In Sweden, the process of regulating cryptocurrency is quite liberal, for example, income from the issue of Bitcoin from a private user is not taxed as it is considered a hobby. If, however, this develops into business, then taxes are levied. Under an EU-wide action plan, platforms, where individuals trade Bitcoin, will have to carry out due diligence on their clients as well as transactions. These rules are expected to come into effect over the next few months. In Russia, the Federal Tax Service announced in 2016, measures to control citizen turnovers of cryptocurrency. While no firm legislation has been published, the FTS can request information about schemes and individuals that are suspected of evading taxes. In Singapore, the IRAS has made clear that cryptocurrencies should be included in the investment portfolio of the individual and therefore subject to zero tax as it is treated in the same way as a gain from capital gains. However, if Bitcoin trading is the main, or one of the leading activities of the taxpayer, then the gains received from trading, should be taxed with corporate tax. In Japan, as of July 2017, there are no taxes on cryptocurrencies. While China has cracked down on the trading of cryptocurrencies, there are not yet any specific norms for those that use cryptocurrencies. Those that choose to participate in the markets are liable for income tax and capital gains tax, and if they are selling cryptocurrency, they can also be responsible for the value-added tax. It is expected that this year will see proper legal frameworks rolled out for the taxation of cryptocurrency. In South Korea, plans are in motion for the taxation of cryptocurrencies. The tax services have announced they are considering the possibility of taking tax for capital gains although nothing has been finalised yet. The United States has become one of the first jurisdictions to take significant strides towards ensuring that all gains made from Bitcoin re fully paid up and declared to the Inland Revenue Service. The IRS has recently stated that Bitcoin should be treated in the same way as an asset or an intangible property, not a currency because no centralised authority issues it. This classification from the IRS makes it clear how Bitcoin should be classed regarding taxation and its taxation implications. 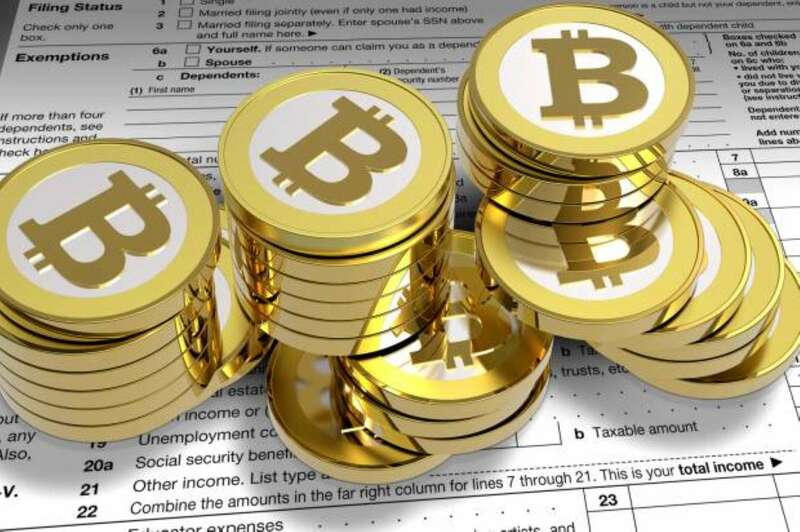 The IRS has also made it mandatory for any Bitcoin transactions to be reported, regardless of their size or value. Therefore, any US taxpayer is required to maintain a record of all buying, selling, or trading in Bitcoin, as well as the trading of it for other services or products. As Bitcoin is considered as an asset, if you are using it to purchase something from a supermarket, you automatically incur capital gains tax, depending on how long you have held the coins for. Using Bitcoins, bought from someone else, to purchase goods or a service. In scenarios where the mining of Bitcoins is required, but you then sell them on to a third party, the value received from giving up the Bitcoins is taxed as a personal or business income, minus any costs incurred during the mining of the Bitcoins. These expenses can include electricity or the price of the equipment used to mine them. If Bitcoins are held for less than a year before they are exchanged or sold, then they incur a short-term capital gains tax, which is equivalent to the usual income tax rate of the individual. If however, the Bitcoins are held for longer than one year, a long-term capital gains tax rate will apply which varies based on the income tax bracket of the holder. One of the main issues when it comes to taxing Bitcoin is the fact that it is challenging to determine the value of a single Bitcoin as its value can vary drastically on a day to day basis. In Canada, the exchange of goods or services for Bitcoin is considered as a barter transaction and is therefore taxed accordingly. Salaries in cryptocurrencies are also subject to taxation as is mining for commercial purposes. The taxation of Bitcoin is not just a simple matter of deciding whether it is morally or legally right that it is taxed. It is a matter of finding a way of creating and implementing an adequate legal framework that will support the taxation of it, without limiting its anonymity and other appealing features. Whatever controls governments introduce to tighten their grip on cryptocurrency, it expected that the community will always find a way to combat it or circumnavigate it. What is needed is a way of ensuring that the relevant authorities, and users of the communities, work together to create taxation frameworks and other laws that work to boost this burgeoning technology further, rather than limit it. As blockchain and the concept of cryptocurrency have so many more applications rather than just a currency, it is crucial not to stifle its progress and popularity, when it has the potential to be such a life-changing bit of tech. The question of how is Bitcoin taxed is just one side of the coin. Before investing, you should first check if Bitcoin is legal in your country.